The Boker A2 gets its name from an epic collaboration between two renowned South African knife designers, Andre van Heerden and Andre Thorburn. South Africa produces some of the finest custom knife makers in the world and Boker has teamed up with the two Andres too bring you this impressive EDC folding knife. The Mini A2 gives you all the same great features of the original but in a more compact EDC size. The A2 Mini 42 features a 2.9" VG-10 steel blade, with G-10 handle scales and blue anodized liners. This model has a nail nick for convenient blade access. 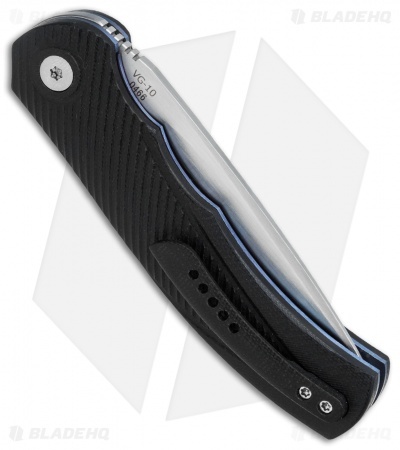 It offers a small, ergonomic profile that is well suited for everyday carry. 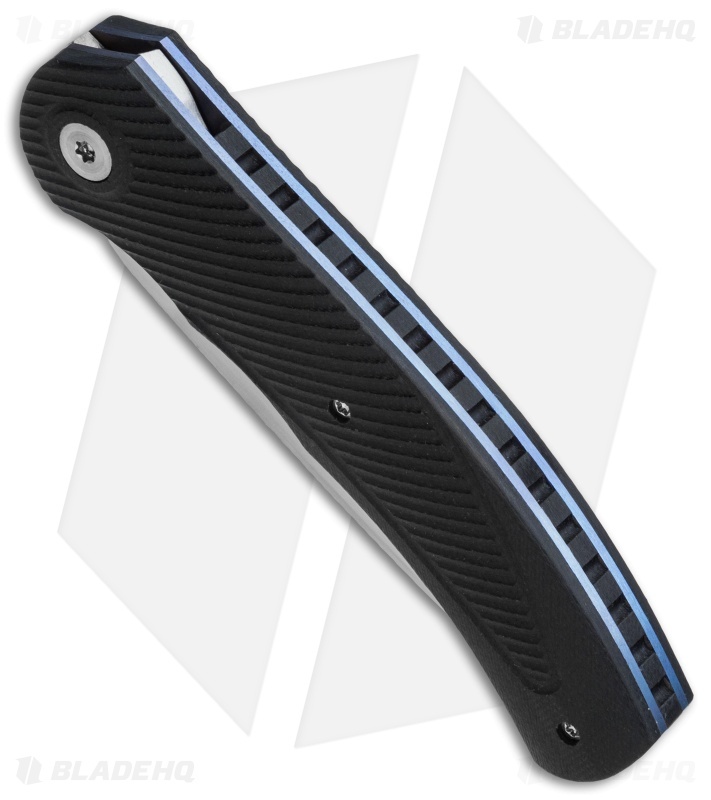 The black G-10 handle has a 3-D milled texture for added grip and is equipped with a unique G-10 pocket clip. IKBS bearings and a one of a kind blade flipper provide smooth opening action for quick blade deployment. 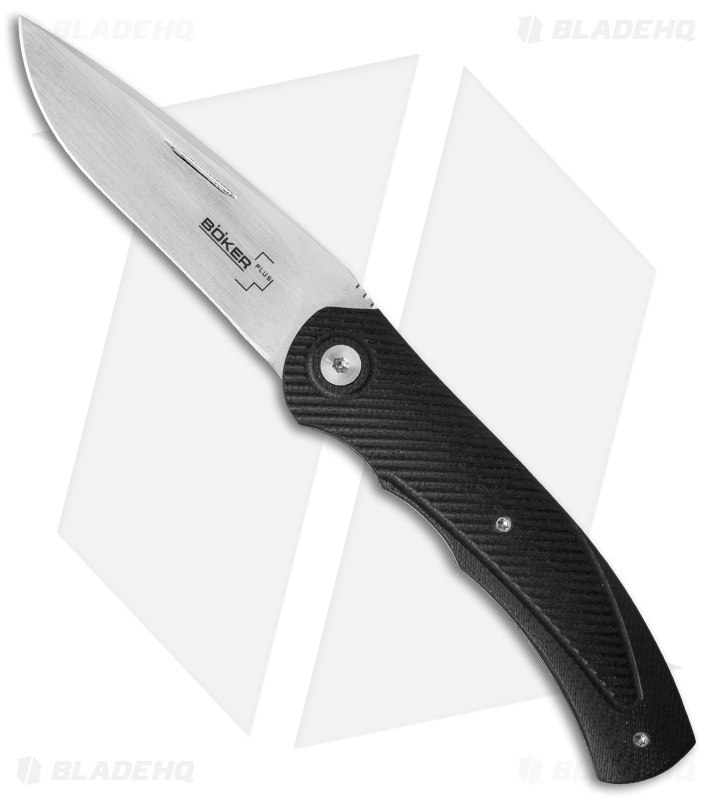 The A2 from Boker offers a custom designed EDC knife at a budget friendly price.